Working on a 1915 Maxwell Touring Car Model 25. I need to fabricate SOMEthing that can function as a top. Originality Not Required; will never be in a judged concourse! Who can help with parts and/or advise? Mel Draper at 7 W Main Jeromesville, OH 44840 can get you set up with top iron, bows and top. Go to smokstak.com and click on forums. Click on classifieds on menu at top of page. Scroll down and click on antique automobile... 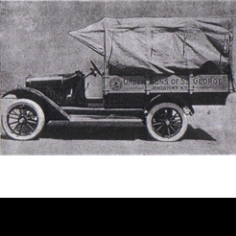 The second ad down is a listing for a 1916-17 Maxwell model 25 touring top. The seller is Garry Carpenter and he can be reached at 218-894-3301. He is located in Staples, MN.